Plan, organize and execute meetings using the Setmore diary management system and enjoy the benefit of an organized daily work schedule. You get to control your time instead of time controlling your activities. Book recurring appointments in a few clicks. Categorize activities based on importance and preference. Plan breakfast, lunch, dinner and coffee dates in advance. Reserve specific dates and times for potential meetings and conferences. Book group meetings and conferences for multiple attendees. Label appointments to differentiate between confirmed, pending and cancelled. Set up buffer times in bookings when you anticipate travelling to meeting spots. Setmore is handy. It´s user-friendly interface lets you book, edit and delete appointments in a flash. Simply drag and drop appointments to postpone or prepone an appointment. Absolutely easy and no complications. Allow your personal assistant to manage your appointments for you. Grant access to multiple staff while keeping account permissions for your online diary in check using three different staff access settings. Get notified instantly whenever an appointment is booked, edited or modified. Also send notifications to guests and attendees you expect to meet, so you can keep everyone in the same loop. There´s no need to carry a notepad around to manage your schedule. 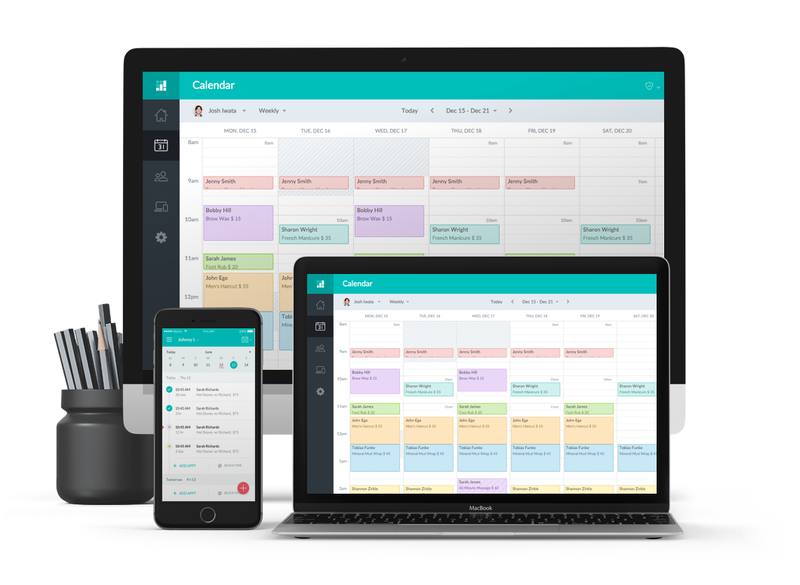 Set up and manage your bookings, delegate staff activities, and over everything else, effortlessly run your business even when you´re away from office, on your smartphone. Precise automated text/SMS reminders never miss the mark on alerting your guests about their upcoming appointments. Text/SMS reminders help cut down on no shows so your schedule is always productive and effectively spent. Now view your Setmore appointments on your iPhone calendar, Google Calendar and Outlook Calendar through a simple integration. You can also easily set up integrations that allow you to take bookings from Facebook. Book any number of recurring appointments up to a year, however you want: in daily, weekly or monthly repetitions. Edit or delete a series of appointments or just a single instance of an appointment easily. With email and text/SMS alerts, there´s absolutely no confusion in your schedule.